My dad grew up in the Twin Cities in the 40s, 50s, and 60s, so I thought that this would be a fun gift for his birthday. It took a little help to get him to see how the book operated (tracing an imaginary vertical line from the number at the edge of each photo), but once he got the hang of it, it was nostalgia time!He'd show me where he went to school, where he lived, where he worked, etc. He talked about buying some extra copies for his (many) siblings whom, he imagined, would probably enjoy it as much as he did. It was even fun to see places that I went to with him and his family (e.g., the Nankin Restaurant). I think there are other similar books out there, but this one seemed to have decent reviews and I'm glad that I got it for him. Oh, a slightly larger format would have made reviewing the book easier.Sometimes, the items in the photos were just too small to make out and had us longing for a magnifying glass. A great book with great pix and a wonderful way of flashing back in time. 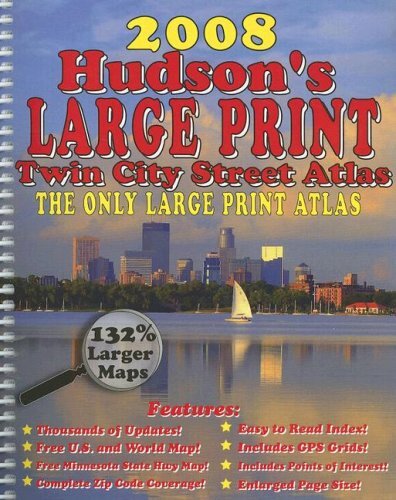 Perfe3ct for those needing or loving a bit of the old, nostalgic Twin Cities!!! 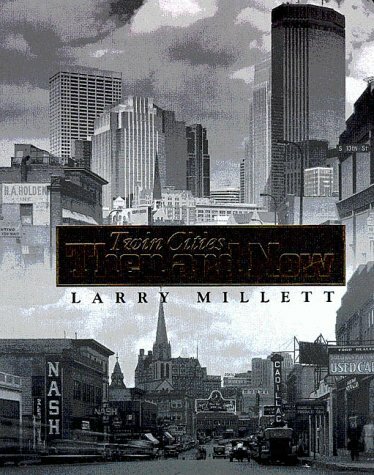 Another VERY interesting book from Larry Millett - I couldn't put it down, lots of fun and great comparison pictures.Brings back a lot of memories! I thought this book was very interesting, and not at all something that would appeal only to Minnesotans.It's sometimes hard to remember just how rapidly the neighborhoods and infrastructure of American cities havechanged in the last hundred years, and seeing the movement documented isreally fascinating.As the authors point out in an early chapter, nothingin a city is permanent, sometimes not even the streets themselves.Thebook does have some unhappy overtones.Like other cities, Minneapolis-St.Paul have chosen at times to simply bulldoze seedy areas of town and fillthem with bland new buildings rather than try to redevelop them.New isnot always better, for the city or its inhabitants.It's sad to see ablock of aging but still beautiful turn-of-the century commerical buildingsgive way to cold-looking open spaces, or a stately mansion lawn turn into aweed-choked hillside behind a college.But this book is excellent whetheryou are interested in social commentary or just amazed at how quicklycities change to meet our changing needs. Dramatic first-person narratives and historic photographs bring to life the history of the Minneapolis riverfront, its industries, and its people. St. Anthony Falls--the birthplace of Minneapolis--has a storied past. This astonishing work of nature drew the awe and admiration of explorers, its tremendous waterpower provided a basis for economic wealth, and the industries it powered offered settlers countless opportunities to make their living. Over the course of the nineteenth and twentieth centuries, Minneapolis evolved from a tourist destination to a sawdust town to the nation's Mill City, firmly establishing itself as the premier city of the Northwest. In MILL CITY, explorers, excursionists, early settlers, entrepreneurs, and laborers tell the story of St. Anthony Falls in their own words. Their vivid accounts are paired with historic photographs and artworks that bring their experiences to life. St. Anthony Falls is the only significant waterfall along the Mississippi River. Nineteenth-century visitors were quick to note the waterpower potential of the cataract, and it wasn't long before sawmills and then flour mills were located along the shore. Drawing on energy generated by the cataract's fifteen-foot drop, Minneapolis was a leading manufacturer of lumber from 1848 to 1887 and the nation's leading producer of flour from 1880 to 1930. This book includes accounts by the earliest European visitors to St. Anthony Falls, the children who played in the 1880s lumberyards along the banks of the Mississippi River, and workers in twentieth-century flour mills. 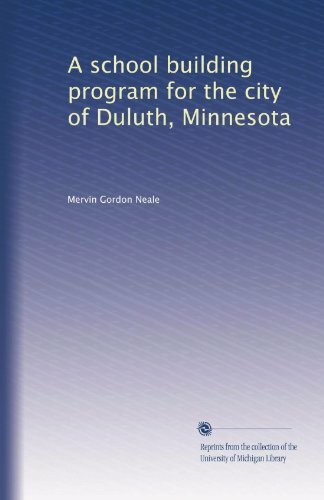 Primary documents describe innovations in waterpower and the milling process that contributed to the successes of the Mill City. 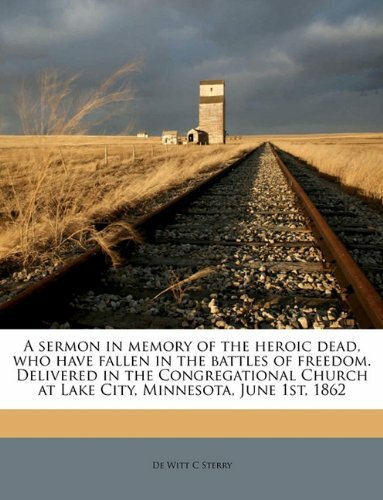 And witnesses to disasters along its shores--including the 1869 tunnel collapse that nearly destroyed the falls and the 1878 Washburn A Mill explosion that killed eighteen workers and leveled the west side milling district--provide vivid narratives of these events and the unity of purpose with which the Mill City's residents worked to ensure the survival of its industries. Great Read...Very Interesting and well written. I realy enjoyed this book.I just finished it last night and I could not put it down once I startd.I used to work in the area and always wondered what it was like before the mills closed.The book walks through a time from the discovery of St Anthony Falls to the builing of the musesums.If you are intersted in the milling of Minneapolis or just St Anthony's history...this book is for you. By looking at Minneapolis's somewhat neglected, stratified, and industrial riverfront, visitors (and even some residents) may find it difficult to believe that those stiff concrete falls started it all. But their once wildly raging waters attracted tourists, prospectors, and businessmen in droves. Before that, Native Americans thought of the falls and the now lost Spirit Island as sacred places. Later, european settlers saw opportunity cascading over the surreptitously fragile limestone and sandstone drop. Travel writers wrote of their stunning beauty and power. In the end, a collective fascination with that mere sixteen and a half feet of falling water literally fueled the development of a major metropolitan center. The city of St. Anthony sprouted on the falls' east bank in the 1830s by utilizing the churning water for saw mills and grist mills. And once the military released the west bank for public development in the 1850s, a city also started to flourish there. 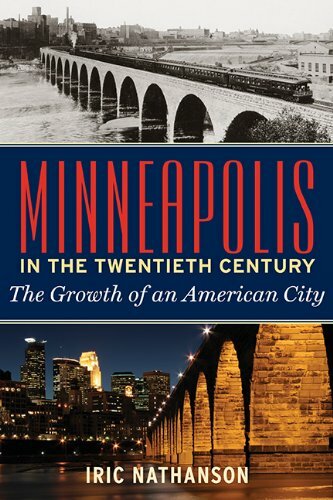 The two river-straddled cities joined forces in 1872 under the common name "Minneapolis". And St. Anthony Falls provided the perfect union for the already highly coupled communities. Though the falls may appear a little less than impressive today they obscure a wealth of history. 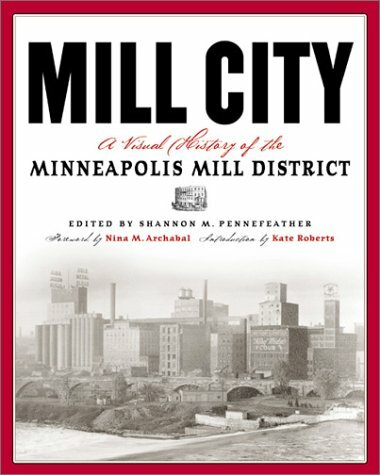 "Mill City" attempts to reclaim St. Anthony Falls' right to the birthplace of Minneapolis. The book follows a rough chronological path that starts with Father Louis Hennepin's visit to the falls in 1680 and ends with the era of the Flour Mills in the 1960s. It includes very little information on the pre-european era. The majority of the text comes from contemporaneous personal testimonies of people who visited or settled at the falls. The book quotes directly from the writings of people such as Father Louis Hennepin (he claimed that the falls rose over sixty feet - a slight miscalculation), early explorers Jonathan Carver and Stephen Long, nineteenth century travelers Elizabeth Ellet and Fredrika Bremer, Colonel Josiah Snelling, John H. Stevens (he built the first house on the falls' west bank in 1849; it was later moved to a park near Minnehaha Falls and still stands), early settlers Ann North and Emily O.G. Grey, Coopers, flour packers, and a host of other people who lived and worked at the falls. This approach gives the book an "as it happened" feel. We learn about the riverfront from the very people who lived it. The falls and the river also proved worthwhile adversaries for early Minneapolitans. The book tells the stories of the disasterous collapse of a tunnel beneath the falls in 1869 (the falls almost disappeared) and the massive Washburn A Mill explosion of 1878. Somehow the riverfront survived despite such tragedies. But it didn't survive economics. The area pretty much dried up after Buffalo, New York became the new center of flour milling in the 1930s. Some mills remained open but the activity ceased on the riverfront until very recently. The book's final chapeter, "reclaiming the riverfront", talks about a revitalization in the 1980s that once again brought people to the falls area. Converted historical buildings became unique shopping centers. But the book doesn't mention the swift decline of this revitalization in the 1990s. Shopping malls became office buildings and the local tourist population thinned considerably. Nonetheless, the opening of the Stone Arch Bridge in 1994 (built in the 1880s) still attracts numerous walkers and sightseers. And the Mill City museum opened in 2003 and brought attention once again to Minneapolis's watery origins. But the area today remains somewhat obscure compared to other bustling parts of the city. The book also tells other stories between the lines. In the 1820s a sawmill and a gristmill were the first buildings built on the current site of Minneapolis. Lumbering soon exploded throughout the area. But by 1930, only about a hundred years later, the lumber industry had depleted nearly all of the area's pine trees. In the process, log jams and debris choked the Mississippi river and made the falls far less visually appealing. Tourism plummetted. Following the announcement of the construction of an apron on the lip of the falls the Minneapolis Tribune printed "Now is the time for all those who wish to take a final look at old St. Anthony Falls in its natural condition." The year was 1869. Though Minneapolis boomed, its rapid acceleration came at the cost of the natural falls and the area's forests. And of course the book is loaded with amazing photographs from all eras.Not only that, the first section contains various drawings and paintings of the falls before european settlement. These are worth the price alone. In the spring of 1934, a small group of militant union organizers led Minneapolis truckers on a series of strikes that sought to break the city's antiunion grip.The striking truckers, in protest of scab workers, took to the streets of the city's warehouse district where they faced violent opposition from the police and members of the Citizen's Alliance, a group representing Minneapolis's business community.The conflict exploded when police fired on the unarmed strikers, killing four and injuring countless others.The events surrounding Bloody Friday shifted the balance of power between labor and business in Minneapolis and proved to be a significant victory for the labor movement nationwide, contributing to the ratification of the landmark National Labor Relations Act.When first published in 1937, Charles Rumford Walker's American City was praised as an evenhanded portrayal of the truckers' strike.Focusing on the personal experiences of the participants, Walker recounts the interests, motives, and passions on both sides of the conflict, capturing the heated emotions of those involved. 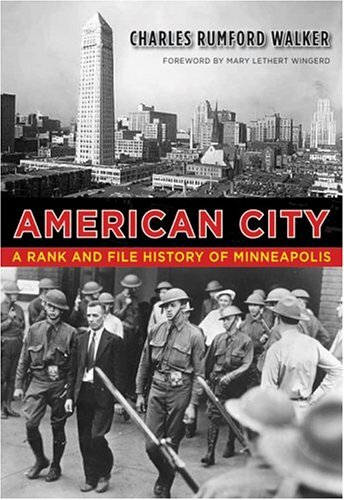 He offers a vivid account of a period that transformed Minneapolis and forged the way for workers' rights nationwide. Featuring a foreword by Assistant Professor of History Mary Lethert Wingerd, American City is the captivating true story of a battle that would greatly alter the balance of power between unions and big business. In the spring of 1934, union organizers arranged for Minneapolis truckers to go on a series of strikes and protest scab workers. Violent opposition to the strike culminated in slaughter when police fired on unarmed strikers, killing four and injuring countless others, in an event that would come to be know as Bloody Friday. First published in 1937, journalist Charles Walker's account of the clash remains a classic, fact-filled examination of a pivotal moment in labor history. Highly recommended. 7. 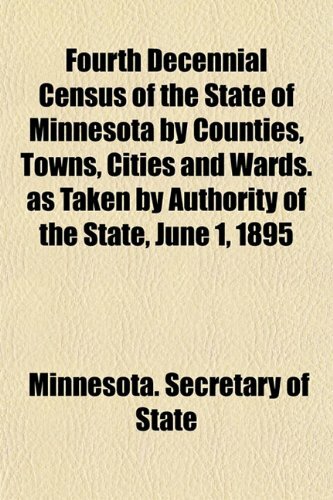 Fourth decennial census of the State of Minnesota by counties, towns, cities and wards. 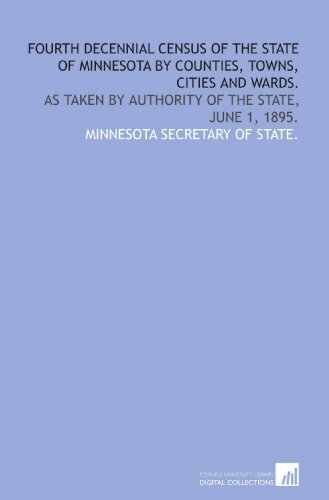 : As taken by authority of the State, June 1, 1895.
by Minnesota Secretary of State. Repackaged edition. 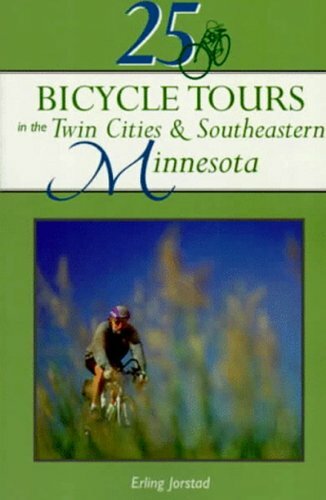 From the meandering Mississippi River, dozens of parks and lakes, and miles of recreational trails to the Mall of America, the Metrodome, the state capitol, Walker Arts Center and Sculpture Garden, and the many festivals, this is a fabulous look at the best of the Twin Cities of Minneapolis and St. Paul. 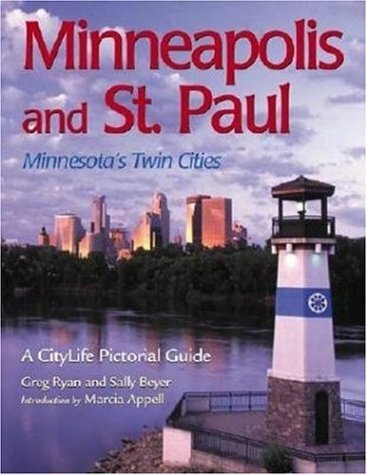 Long-time Twin Cities' residents Greg Ryan and Sally Beyer guide readers through scenic places and little-known nooks and crannies of Minneapolis and St. Paul while offering a new angle on the more popular sights. Gorgeous photographs with detailed captions, a sprinkling of historical vignettes, and sidenotes from local celebrities combine for a treasurable memento or introduction to the state's largest cities. 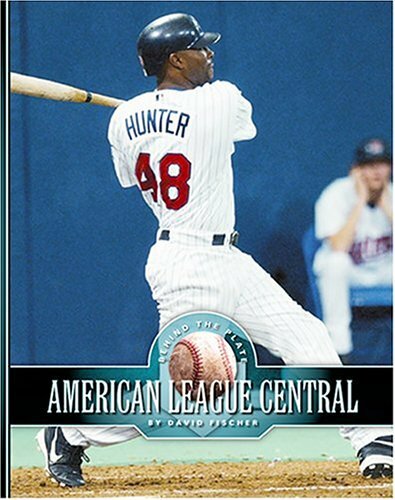 Also Recommended: "Minnesota Days," "Our Minnesota." 11. 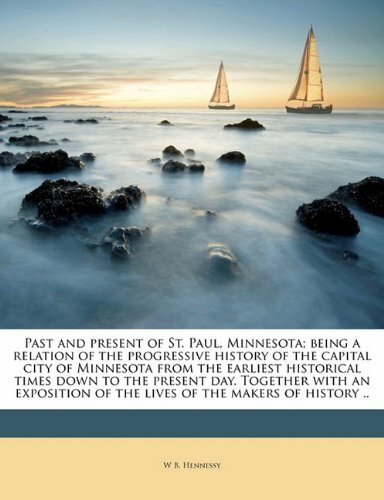 Past and present of St. Paul, Minnesota; being a relation of the progressive history of the capital city of Minnesota from the earliest historical times ... of the lives of the makers of history ..
by Myron Orfield, Thomas F. Luce Jr. The Twin Cities region contains 11 counties, 300 cities and townships, and 1,700 unique combinations of tax rates and public services. Historically, this fragmentation has made it extremely difficult to address the social, economic, and environmental problems that affect all parts of the region, yet the Minneapolis and St. Paul area has generally been held in high esteem as a model of regional cooperation. How do policy planners make it work-and is it working well enough? In Region Myron Orfield and Thomas Luce examine both the successes and shortcomings of the Twin Cities Metropolitan Council's regional planning and policy. Detailing the rapid demographic, commuting, and land use changes that are currently at work in the region, Orfield and Luce identify the new challenges faced by the cities and the suburbs and their overlooked interdependence. They thoroughly investigate the economic and political trends impacting Twin Cities residents' quality of life-sprawl, population growth, economic and racial injustice, a lack of affordable housing, traffic congestion-and in particular how education demographic trends are solidifying segregation. 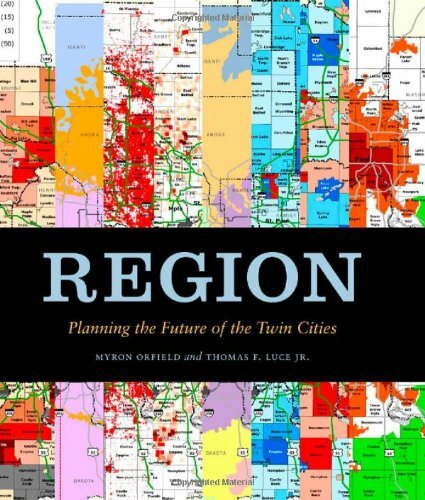 Extensive maps, graphs, and charts accompany the authors' argument for careful, coordinated regional development in the Twin Cities and explanations about how such an approach should be a model for other regions around the United States. Confronting unsettling-sometimes shocking-realities of life in the Twin Cities, Orfield and Luce highlight the urgent need to create thriving integrated neighborhoods and job growth throughout the region, as well as the near impossibility of desegregating our neighborhoods and schools. Throughout this detailed and deeply researched work, they analyze the wide impact of planning failures and the promise of successful growth, and ultimately put forth trenchant policy recommendations for a better future-one where we live up to our social, environmental, and political ideals. The Twin Cities is home to one of the largest and most vital GLBT populations in the nation-and one of the highest percentages of gay residents in the country. Drawn from the pioneering work of the Twin Cities GLBT Oral History Project-a collective organization of students, scholars, and activists devoted to documenting and interpreting the lives of GLBT people in Minneapolis and St. Paul-Queer Twin Cities is a uniquely critical collection of essays on Minnesota's vibrant queer communities, past and present. A rich blend of oral history, archival research, and ethnography, Queer Twin Cities uses sexuality to chart connections between people's lives in Minnesota. Topics range from turn-of-the-century Minneapolis amid moral reform-including the highly publicized William Williams murder trial and efforts to police Bridge Square, aka "skid row"-to northern Minnesota and the importance of male companionship among lumber workers, and to postwar life, when the increased visibility of queer life went hand in hand with increased regulation, repression, and violence. Other essays present a portrait of early queer spaces in the Twin Cities, such as Kirmser's Bar, the Viking Room, and the Persian Palms, and the proliferation of establishments like the Dugout and the 19 Bar. Exploring the activism of GLBT/Two-Spirit indigenous people, the antipornography movements of the 1980s, and the role of gay men in the gentrification of Minneapolis neighborhoods, this volume brings the history of queer life and politics in the Twin Cities into fascinating focus. Engaging and revelatory, Queer Twin Cities offers a critical analysis of local history and community and fills a glaring omission in the culture and history of Minnesota, looking not only to a remarkable past, but to our collective future. Flavored with contemporary newspaper quotations and illustrated with period images, this political history inspires greater understanding of a preeminent American city.